This new One Pan Salsa Verde Chicken and Rice is an easy and delicious one pan chicken dinner that comes together in a pinch, is packed with flavor, and has all of the protein, carbs, veggies and healthy fats you want for a well-rounded meal! 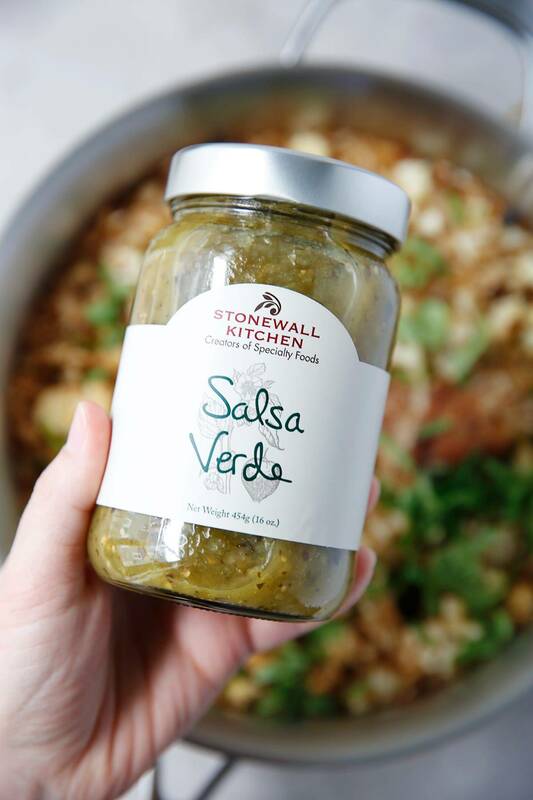 Made in partnership with my friends at Stonewall Kitchen! I am so excited to partner with my friends from Stonewall Kitchen to bring you today’s recipe! I have an ever-running list of my favorite products from them (that you can enter to win at the bottom of this post) and up there on that list is their salsa verde! It’s so yummy and adds perfect flavor to this easy one pan dinner! Bloody Mary Mixes: hello Bloody Mary bar for brunch! Maine Maple Syrup: mmm… think pancakes! Artichoke Pesto: Summer pasta salad is calling my name with this. Roasted Garlic Mustard: on just about everything. Garlic Basil Marinara Sauce: you know I’m a big marinara sauce fan, and this one is a state! This one pan chicken dinner is my new go-to. It’s easy to prepare and packed with flavors that are light enough for a Spring/Summer meal, and hearty enough for a Fall/Winter dish! It’s the perfect anytime-of-year weeknight dinner that is great for leftovers, too! Heat a medium heavy bottomed high-sided pan over medium-high heat. Once hot, add 1 tablespoon oil and onion and garlic. Cook until soft and translucent, 3-5 minutes. Push onion and garlic to the side and add 1 tablespoons of oil. Once hot, add chicken and cook until beginning to brown 5-7 minutes. Add cumin, salt, pepper, rice and cauliflower. Stir to combine. Add chicken stock and salsa and scrap up any browned bits. This post is sponsored by Stonewall Kitchen. All thoughts and opinions are always 100% my own! I love their tart cherries and think you’ll love them too! Thank you for continuing to support LCK and the brands I work with! Thanks Lexi! This looks really good. This looks so good, I can’t wit to try it! I love one pan meals! I will definitely be making this one. Thanks! Oh, my! This looks so good. I have thighs in my freezer and everything else except cauliflower. I’ll find a sub. My family loves salsa verde. It’s what’s for dinner! Lovin’ the one pot meals! Making my shopping list! Looks amazing can’t wait to try it! Love salsa verde & a good one pot meal! Another amazing recipe from you, Lexi! Cannot wait to make this one! This looks delicious! ! Can’t wait to try it!!! This looks so delicious!!! I’m definitely adding this to my meal list for next week!!! I need to try this!! And that Garlic Mustard! Looks so yummy! I can’t wait to cook it! Would love to try these yummy staples ! Oh these products would be awesome to win and add to my meal plans! Love Stonewall Kitchen and one pot meals! Yum! This looks incredible! I’m going to make it tonight. We love Stonewall Kitchen products. I made your Beef and Broccoli last week and it was amazing! Definitely a new staple in our house!! 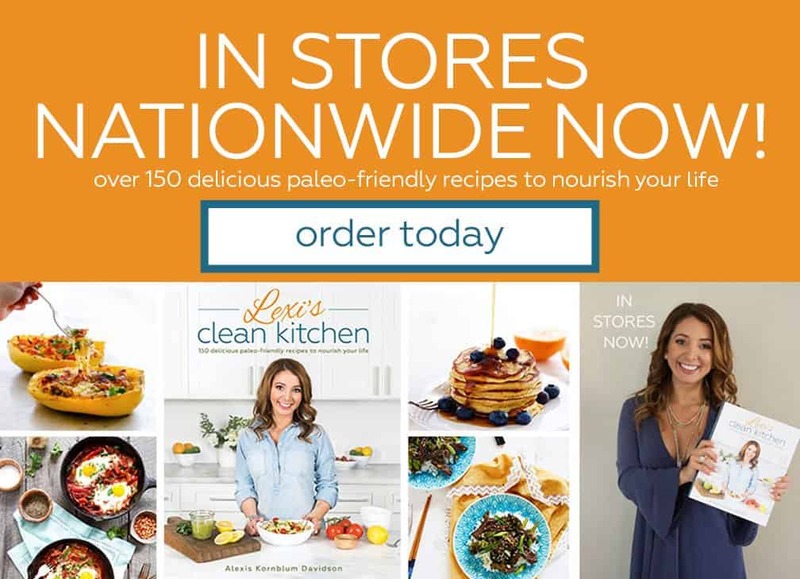 Thanks for all the delicious and healthy recipes! Can this be made with cauliflower rice too? Love Stonewall Kitchen and all of your recipes! Roasted Garlic Mustard sounds amazing! Love your favorite Stonewall Kitchen picks also….would love to win them, too! The Salsa Verde Chicken recipe is sure to be a hit!!! Love one pan recipes. Will be making this one soon for sure . Looks yummy ! Thank you Lexi ! Stonewall is what kitchen pantry dream are made of! What a great collaboration, thanks lady! To me, salsa verde is a food group 🤗. So happy to see it here. And Stonewall Kitchen is amazing! 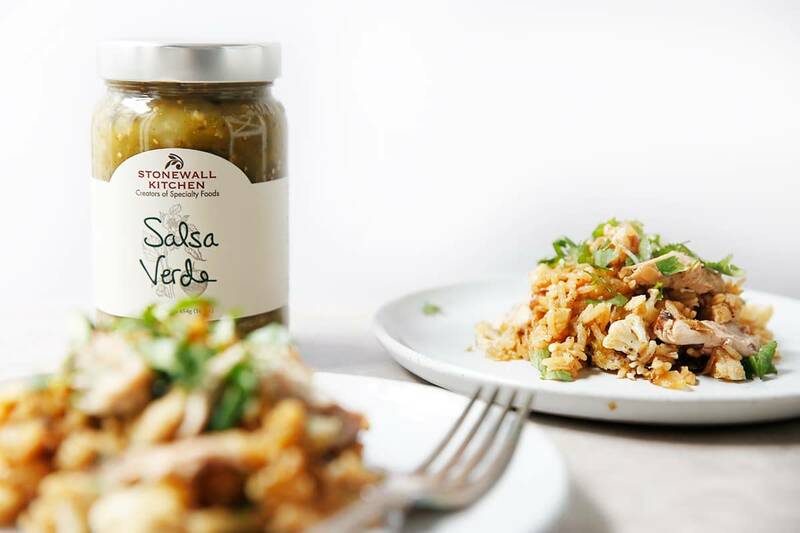 This looks delicious and I would love to try the Stonewall Kitchen products! I love salsa verde!! I am super excited to try this out! Can’t wait to try this it sounds delicious. I love Stonewall Kitchen Stuff. Yum! Excited to try this out! Can not wait to try this. 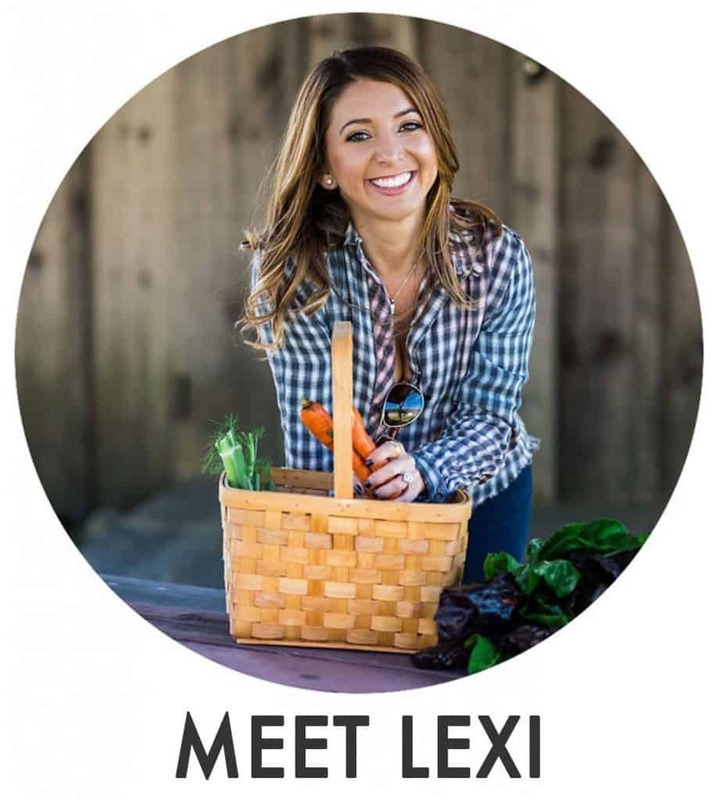 My family has loved every Lexi’s recipe I have tried. This looks amazing! I’ m looking forward to making it for my family! 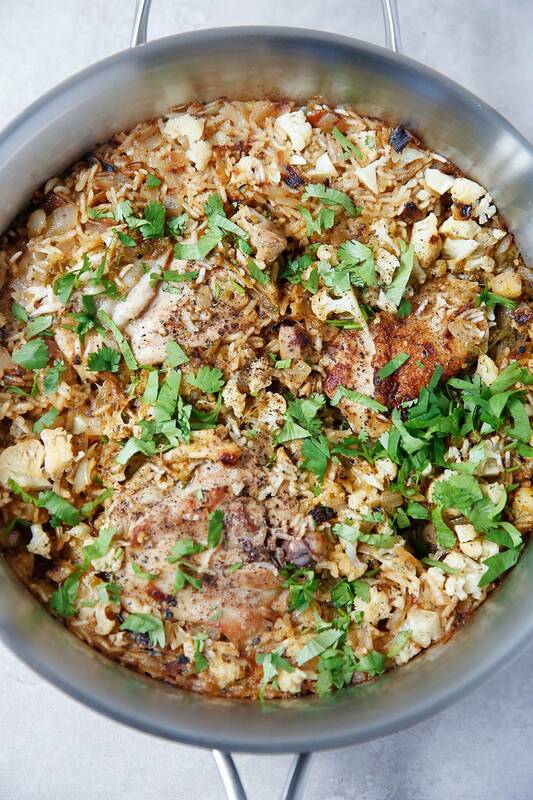 Love me some one-pan meals that pack a flavorful punch! That looks delicious! I love quick, easy meals! This looks so good–I LOVE salsa verde! The artichoke pesto sounds amazing too. I’ve never tried Stonewall Kitchen products before, but just checked out their website, and I’m super impressed with their ingredient list (of course, I knew it would be clean if you were promoting it)! I will be making this recipe for dinner soon. Looks delicious thanks Lexi! Looks fantastic, can’t wait to try! If you ever get the chance to visit their HQ Iin Maine… DO IT! One pan meals are always winners! Lexi’s recipes are always winners! Can’t wait to make this. Looks delicious! Want to make ASAP!! This looks so simple and full of flavor. My husband and I love Salsa Verde! That salsa verde sounds AMAZING! Amazing flavors! Have to try this one! This looks amazing!!! I can’t wait to try it tonight!!! Yummmm. I must try this! Just the recipe I needed! I love STONEWALL products. Definitely giving the Salsa Verde a try on my next trip to the grocery store. I need to try that artichoke pesto! This looks delish! I’ve been meaning to place an order of Stonewall goodies after seeing an article about their products. so excited to try out this recipe!! Looks delish!! I will definitely be trying this! I used to live in Maine and have been using and visiting stonewall kitchen for years! I love one pot especially Mexican inspired! Going to try this for sure!!! I love one pot especially Mexican inspired! Going to try this!!! Love Lexi and Stonewall Kitchen! I want to make this dish. Love this recipe and LOVE Stonewall!! The best stuff ever! Love the fig balsamic dressing, sun-dried tomato pesto and Pumpkin Butter!!!!! Going to try this one out on Sunday! Yum! Thanks Lexi 😄 I’ve never tried any of these! Yum! Love Stonewall kitchen. My fave is the maple balsamic dressing! This looks like another tasty recipe, and I can’t wait to try Stonewall products! YOU WON! 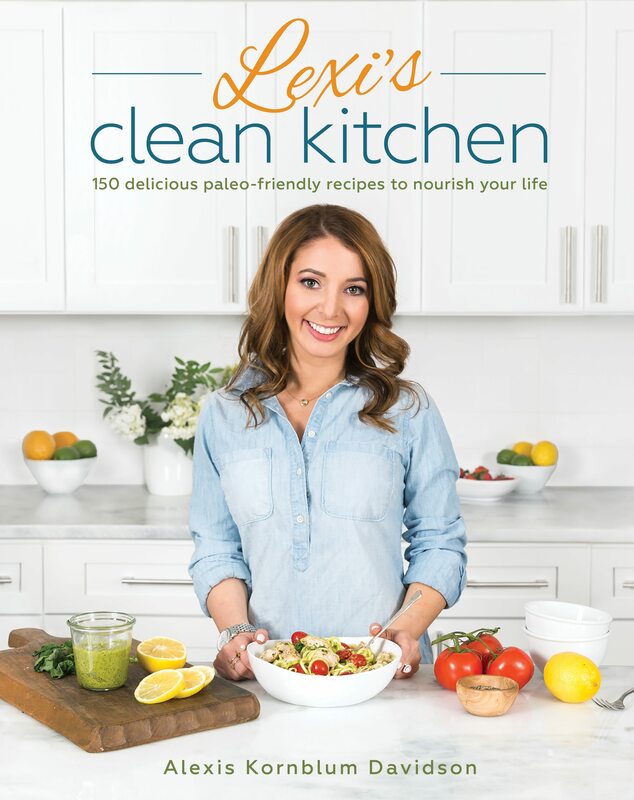 Please email your full name and mailing address to Lexi@lexiscleankitchen.com!! I love one pan meals they make cooking during the week so easy!! This looks amazing! I love Stonewall Kitchen products! This looks amazing. I hope I win so I can try these products. Can’t wait to try the Bloody Mary mix and salsa verde! That recipe looks delicious. Looks delicious! Love stonewall kitchen and your recipes! One pan meals are the best! I will be adding this to my recipe rotation. Thanks, Lexi! This looks so good, trying tonight! Definitely going to try this, this weekend! Looks delicious!!! Looks my my kind of meal! So much delicious! 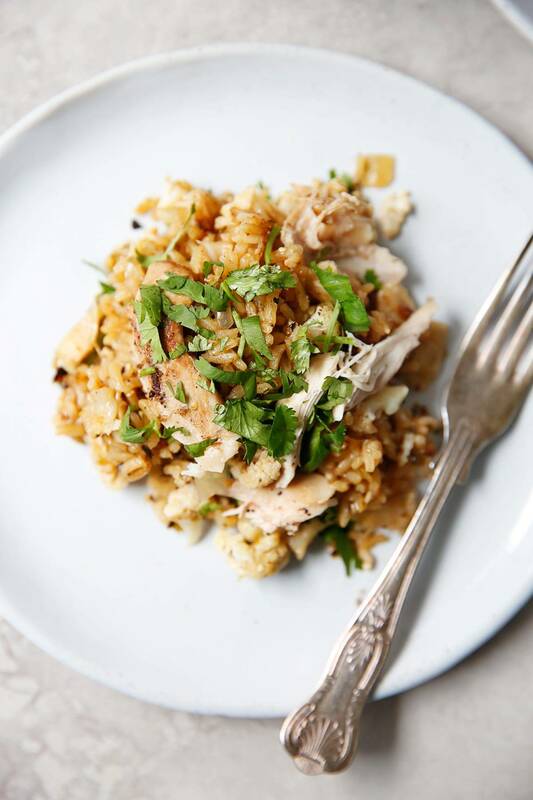 I love the idea of combining the riced cauliflower and rice. Good textures! I love your recipes and have been using Stonewall Kitchen products for more than 15 years. Healthy eating has changed my life. This looks amazing!! Can’t wait to try it out! My kids would eat Mexican food every night if I made it for them!!!! Can’t wait to try this recipe!!! YUUUMMMMMMMMMMM!!! Any suggestions for a cauliflower substitute? My kids won’t touch cooked cauliflower and I hate to leave out the vegetable all together. Any suggestion for a cauliflower substitute? My kids wont touch cooked cauliflower and I hate to leave out the vegetable completely. Love one pot meals! Can’t wait to try this! Would I be able to substitute brown rice for the white rice (and just increase the chicken broth amount)? Ive never tried stonewall kitchen but would love to it looks yummy! Just made this (w/arborio rice because … issues) and it is DELICIOUS! This and your Instant Pot Lemon Vegetable Risotto (which is why I thankfully has the arborio as backup) are AMAZING and will definitely be going into regular rotation! Can’t ever have enough chicken recipes. THANKS! I’ve actually never heard of Stonewall kitchen products!! I’ll have to try them out! This recipe looks delicious! Thanks for sharing! Stonewall has some fantastic sauces. They make a balsamic vinaigrette that’s my favorite for salads! My kind of meal – on e pot! I’ve tried some of their other products and was very please. I will have to check into this salsa. Easy and delicious! Sign me up! YAY. Let us know how you like. Love their products and this looks delicious!! This looks amazing. And all in one pan makes it even better! Thanks for the chance to win. Winner, winner chicken dinner! This recipe is DELICIOUS! I was running late in my day yesterday and wanted to get dinner finished before hubby got home. I was able to make everything quickly and love that it was a one pan meal! The salsa verde had just the right kick to spice up the dish, and it made so much that we have leftovers for a few days! Next time I think I’ll add a few more extra veggies in. This will be added into our regular rotation for sure! This is DELICIOUS! I didn’t have cauliflower but did have cauliflower rice, so did a combination of brown rice & cauliflower rice. Servings were huge but we didn’t have any leftovers because it was SO GOOD! Husband requested I make it again very soon & I’m more than happy to… one pan, around 30 minutes max til dinner is served, so easy and delicious! I made this last night and it is SO GOOD. I did the same thing as Marie above and used cauli-rice. Seriously, I want to make it again tonight! I used cauliflower rice instead (I read the recipe wrong and bought it pre-riced) and it is completely undetectable. It blends right in with the regular rice. I made this for dinner tonight and loved it! I had to add an extra 1/2 cup of water at the end, but otherwise everything went just as planned! I can’t wait to make it again soon for meal prep.